On Wednesday the 21st of November the Yarra Junior Football League held their Annual General Meeting. The league was very excited to have this opportunity to appoint two very worthy recipients as Life Members. Congratulations to Geoff Deveson & Joe Mezgec. 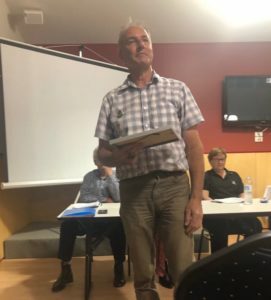 YJFL Umpires Advisor from 2006-2009 during which time he was responsible for coaching, appointments and recruitment of umpires together with representations as an umpires advocate at tribunal hearings and tribunals. Geoff continues to coach umpires in the their first and early years as they gain confidence to umpire on their own, and also continues to mentor umpires as they move through the ranks to Colts level football. 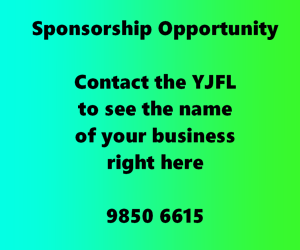 This appointment as a Life Member recognises Geoff’s outstanding achievements and efforts on behalf of the wider YJFL community over such a long period of time. 2011 – 2018 Joe was a Junior Development Officer for the League, and was responsible for organising the Under 13 and Under 14 development programs. 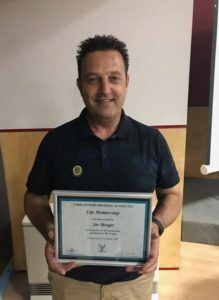 2013 – 2018 Joe was instrumental in planning and delivering the YJFL Summer Development Programs (September to November each year) which peaked in 2016 with over 500 participants. Always much loved by the players he coached, Joe has been an incredibly hardworking, dedicated stalwart of the YJFL over many years. His attention to detail and thoroughness is legendary in the YJFL Office – he would check and re-check that everything was in place for the programs to run smoothly. He was always be incredibly well prepared for every session he ran. It was with regret that the YJFL accepted his resignation, due to the pressures of a new job, after the 2018 season. This appointment of Joe as a Life Member of the YJFL recognises his service and dedication to the League over a long period of time.